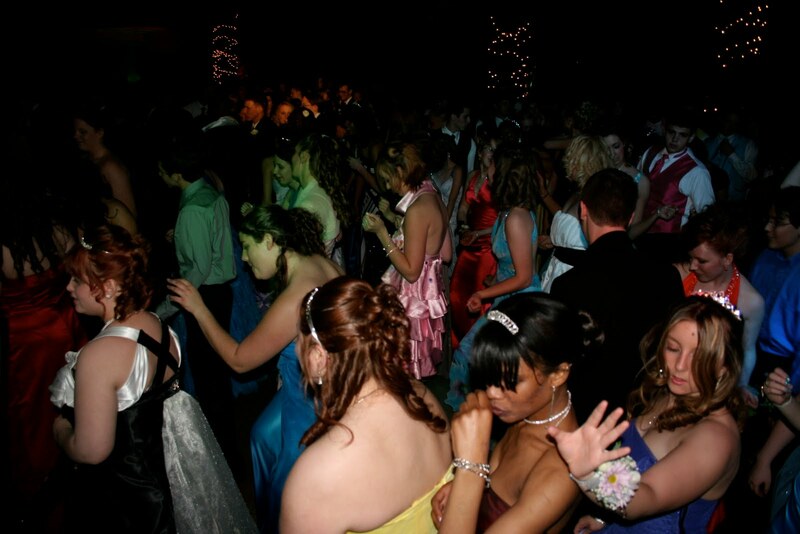 The second week of our prom Kansas prom campaign, East High School came to party. The decorations coincidentally matched South Barber's underwater scene, but with a spin. The theme was "back to the future" and the Prom King and Queen shared their dance to "Earth Angel" followed by "Johnny B. Goode". With over 750 students in attendance, our Elite Package was the best fit. Our large projection screen on the dance floor enabled the students to dance to party to the most popular music videos such as Beyonce's "Single Ladies" at our video dance party. A powerful bubble machine topped off the packed dance floor. For students who needed a break, we provided a Guitar Hero party in the hall adjacent to the main dance floor. A special thanks goes to Laurel Scott for being great to work with and making this event an awesome success! I hope everyone had a blast...we know we did and we're looking forward to it next year!